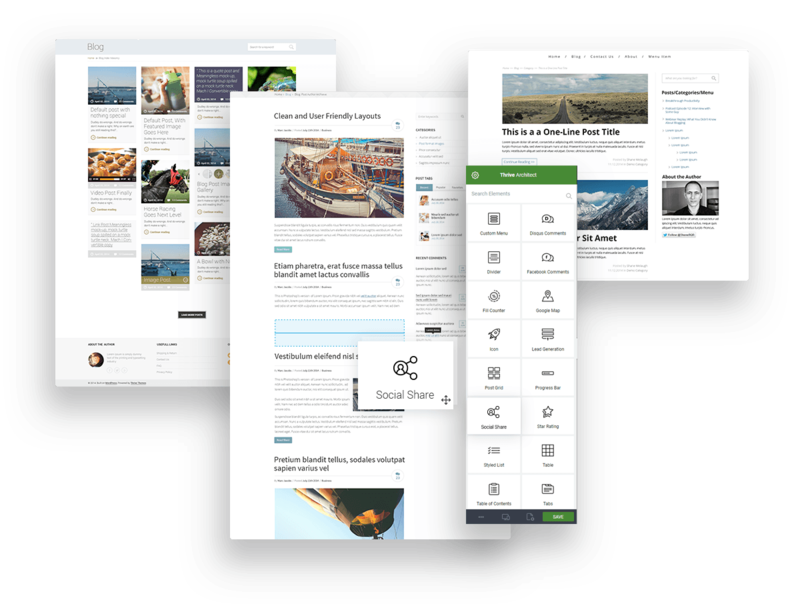 Creating beautiful, engaging and visually impressive content & layouts in WordPress has never been easier! Yes, I Want to Build Better Content & Landing Pages! A good tool for your business should be easy and not take away from your time and energy. 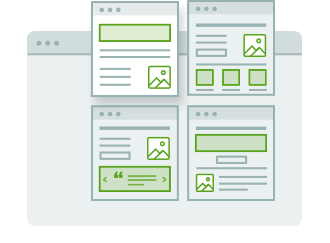 Thrive Architect is the visual page builder that is built from the ground up for business and conversion focused websites. And because we know that entrepreneurs are busy, Thrive Architect is built with an obsessive focus on being as fast as possible to use. We’ve removed every possible barrier between the business idea in your head and a professional presence of that business on your website. What Makes Thrive Architect Different? When you load up the Thrive Architect editor, everything follows one simple idea. We call it “click-to-edit”. If you want to change something, you click on it and you’ll see your edits instantly. If you want to move something, you click, drag and drop. We’ve removed every obstacle between you and building the content you want. 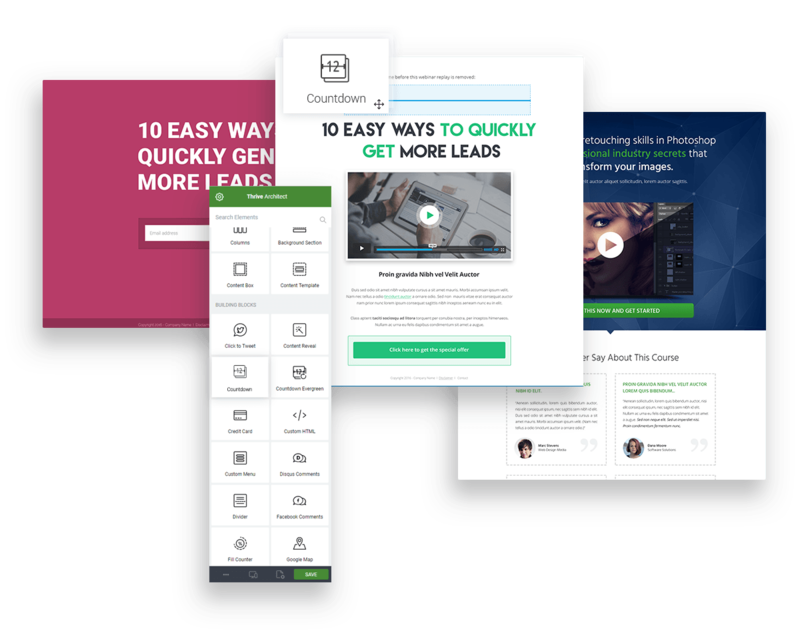 274 beautifully designed and 100% conversion focused landing page templates that come bundled with Thrive Architect. 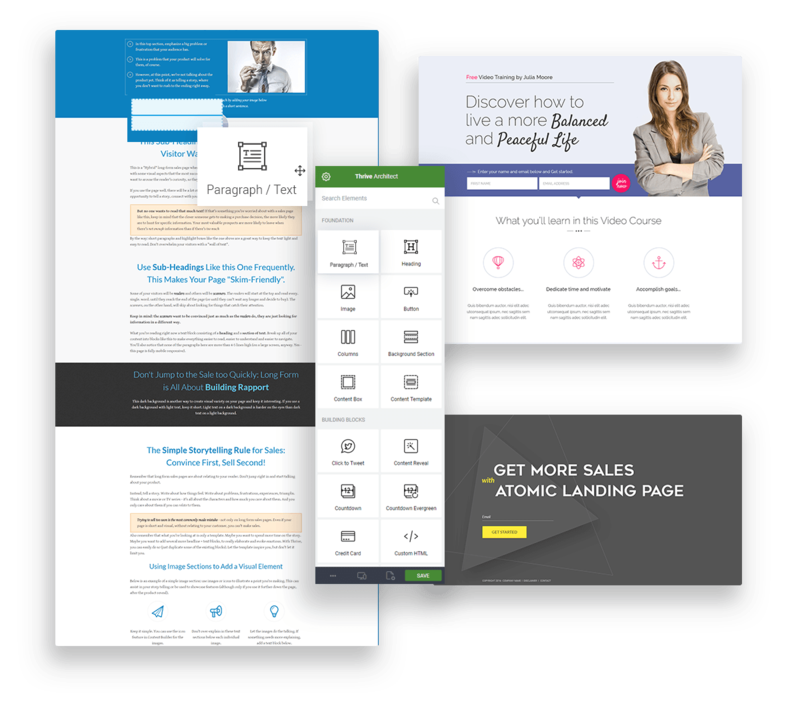 It’s simply the fastest way to create professional looking sales pages, opt-in pages, webinar pages and more, that are instantly publishable yet still completely customizable. Replace a dozen plugins thanks to our conversion focused elements, built right into Thrive Architect. 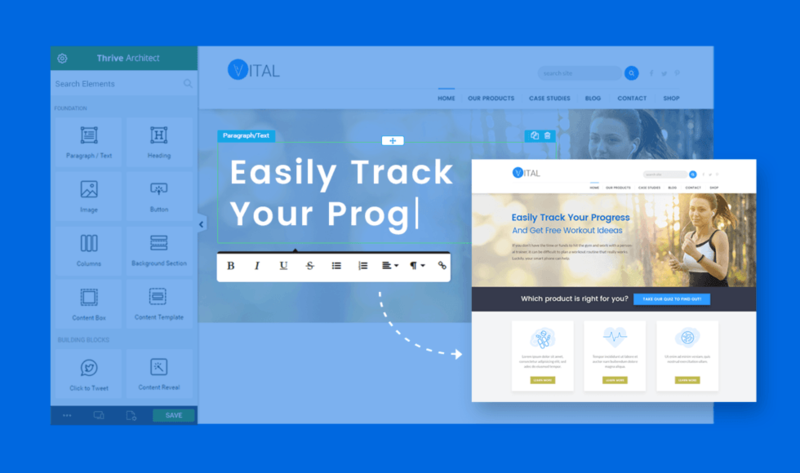 Includes infinitely customizable buttons, testimonials, countdown timers and lead generation forms that integrate with your favorite email marketing tools. What Will YOU Build With Thrive Architect? 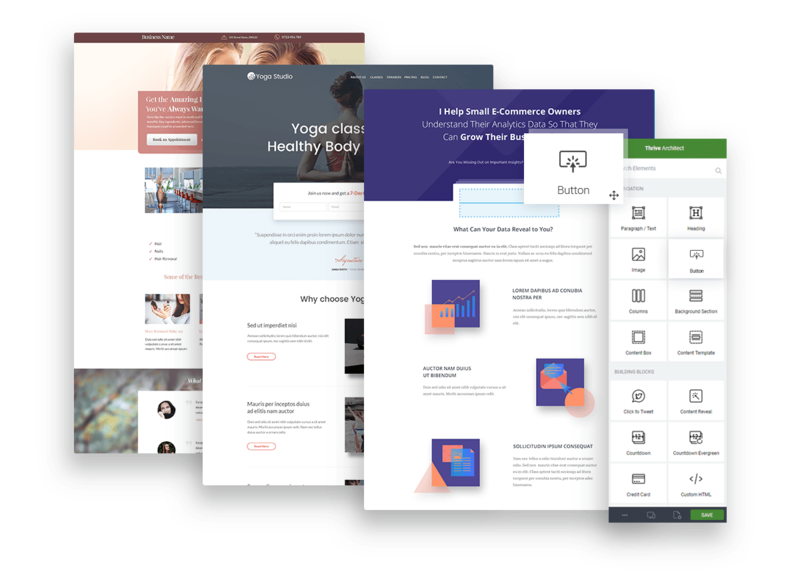 Thrive Architect is not the only visual editor for WordPress, but it's the only one that is laser focused on business websites, built by DIY entrepreneurs. Your homepage is probably one of the most visited pages on your site. Is it making the impression you want it to make? Is it engaging visitors and boosting your conversions? With Thrive Architect page builder, you can use one of our templates or build a beautiful, professional looking homepage or improve the layout on your existing homepage by adding things like columns, horizontal opt-in forms, a stylish gallery of your blog posts, social share icons and more. Sales pages are the bane of WordPress users. If you’ve ever tried to build a sales page using the WordPress editor, you know for sure that it wasn’t made to build the kind of layout you need on a sales page. And never mind the layout, what about the copy!? Fear no more, Thrive Architect comes with everything you need to build stunning sales pages. And what’s more, we’ve even included tutorialized sales page templates that make copywriting fill-in-the-blanks easy. Every online business needs a larger mailing list. That’s why we provide you with dozens of optimized landing pages you can use to present your free offers and grow your mailing list. Many a successful startup began with a simple landing page to get leads and validate a business idea. 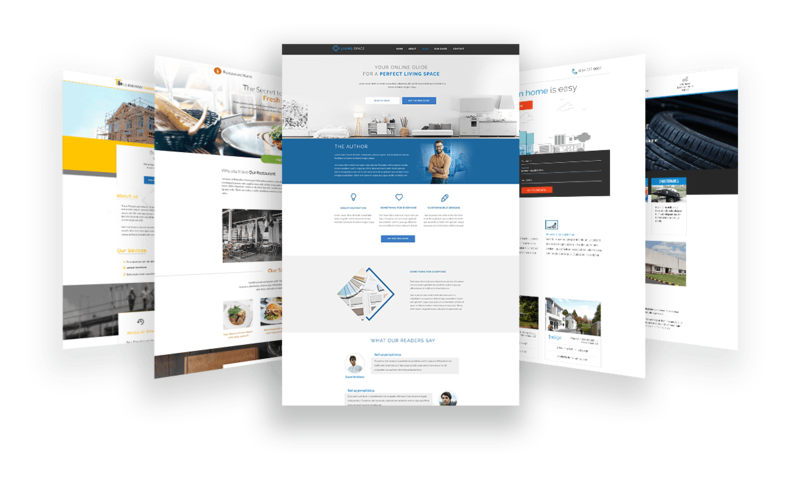 That’s exactly the kind of page you can create with Thrive Architect, in record time! Blogging is evolving and if you want to keep up, you can no longer just write a wall of text and post it. Clever content marketers have long known that well formatted content, including things like highlight boxes, styled lists, images and other media, click-to-tweet quotes and more, get much higher engagement. That’s why we’ve included all of those elements in the Thrive Architect toolbox. Whatever your marketing strategy, we’ve got a suitable set of pages for you. You can easily build all the pages you need to announce, get leads for and expire a live webinar event. We’ve also made it easier than ever to create a professional looking product launch sequence to help get your next business off the ground. We believe in rapid implementation and getting your ideas and content out there, as quickly and smoothly as possible. However, we don’t want to limit your imagination and if you’re an advanced user (or you just like tinkering), Thrive Architect has got you covered. Want to create a column layout? Easy: just drop elements next to each other. No special column container, row, segment section or whatever else needed when using our page builder. Want to change the layout, easily add, remove and drag-and-drop resize columns anytime. Add background images with text overlayed on them as a visually striking section anywhere on your pages. And because text on images is often difficult to read, we’ve made it extra easy for you to add colored overlays or gradient overlays to your images. This way, you can add your brand colors to images and make the text really pop! With Thrive Architect, you have total control over typography. Thanks to our typeface options and access to over 700 custom fonts, you can create beautiful, poster- and magazine-style text layouts, make your titles stand out and give your site “uniquely you” look. Create a background that spans the entire screen width - no matter which theme you use and no matter what screen your visitor sees your content on. Create vertical split layouts for an added wow factor. You can easily apply hover effects to all elements. But we’ve taken it a step further: with our page builder you can even apply hover effects to everything inside a container element, on hover of that container element. Want to tweak the roundedness of a button corner? Add a subtle drop-shadow effect? Add an outline, but only on one side? You can do it all, with ease and with a live updating preview as you make your changes. These days, most websites get more than half their visitors from phones and other mobile devices. 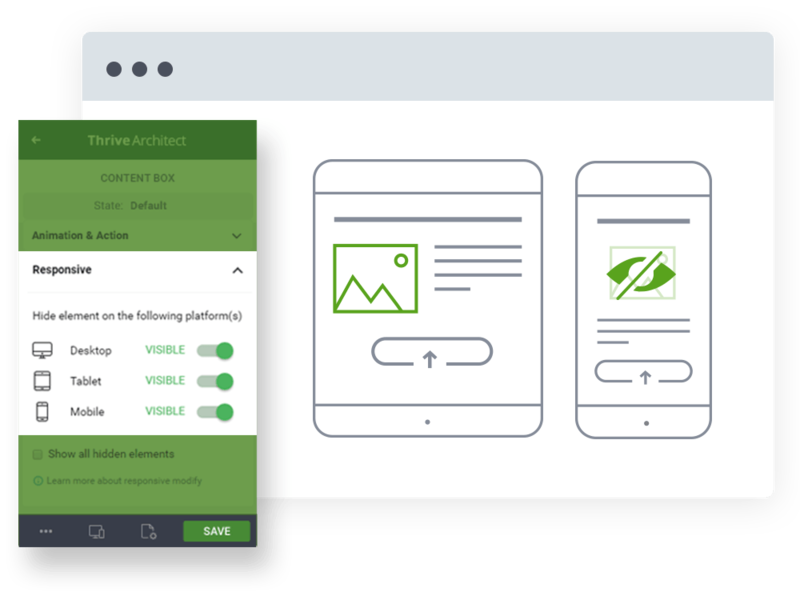 Every template in Thrive Architect and everything you build with this plugin is mobile responsive, out of the box. In most cases, if you just create your page and don’t worry about it, the result will look good on mobile phones and tablets as well. However, we know you want more control than that. And if you’re building complex and unique layouts, you want to be able to ensure the best possible experience, regardless of screen size. As you build your page, you’re always only 2 clicks away from checking what it looks like on different screen sizes. No page reloads needed. For any element (or any container with multiple elements in it), you can define which screen sizes it should be shown or hidden on. That way, you can create the perfect layout for every screen size. To make it even easier and faster for you, you can even tweak the layout and position of elements to be different on different screen sizes. No duplicate elements with show/hide needed. A static website is a boring website. And while we don’t advocate overloading a site with animations and actions, these things can make your website more effective, when used the right way. For any element, you can easily apply entry animations, hover effects, add tooltips, animate text on the screen and more. This happens when a developer chooses the lazy option (because creating a real visual editor is difficult). Instead of letting you edit on the front end of a page, they only show you the front end of the page and then open a normal (back end) editor in an overlay or in a sidebar. Basically, they’re trying to sell you a front end editor, but they don’t want to do the hard work of actually building a front end editor. When you see a simple demo of this, you might be thinking: “does that really matter?” the difference seems small, after all. The reason we don’t settle for lazy editing is because these small differences add up to make a big difference. Building a simple landing page involves between 70 and 150 interactions with the page (clicking something, editing something…). A more complex homepage or sales page can involve 1,000 interactions or more. If you have to wait a little longer on each of those interactions, that adds up. And if you have to save a change before you see the result, then go back and edit again, save again etc., it can double or triple the amount of interactions you have to do, to finish your page. 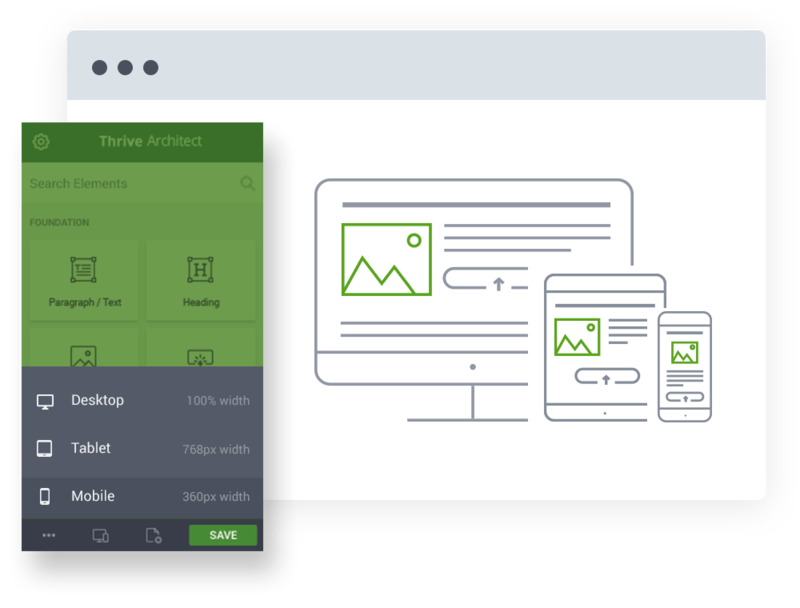 Our obsession with speed, usability and true front end editing means that Thrive Architect is fast and even fun to use. But it’s not just user friendliness that makes the speed factor so important. At Thrive Themes, we believe in Rapid Implementation. Successful entrepreneurs and startup founders agree that the faster you can move in your business, the more likely you are to succeed. Being able to build and edit pages quickly, turn your ideas into landing pages, funnels and content, allows you to stay ahead of the pack. Rapid Implementation gives you a competitive edge. Having a fast, intuitive editor like Thrive Architect, doesn’t only save you time, it also makes you more productive and frees up your attention. You can focus on growing your business, instead of wrestling with technology that won’t do what you need. Best of all: none of these elements are special “pro” elements that are locked behind a higher pricing tier. 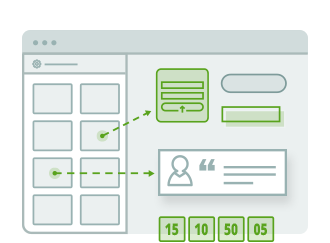 Every conversion element (and every element below) is included in every version of Thrive Architect. These elements are made specifically to help you grow your business and boost your conversions. For buy buttons or any other call to action. Give your visitors a big, friendly button to click on. Show your visitors the most powerful form of social proof for any website: testimonials from other customers. An oldie but goodie, the bullet point list with custom icons and styling gives you the opportunity to present your selling points in a concise way. Fully scalable credit card icons give your visitors a clear signal for a purchase and create trust. Add fully customizable lead generation forms anywhere inside your content, to grow your mailing list. Made famous by the "Johnson Box", content boxes have long been a staple of conversion focused design, helping you highlight the important parts of your copy. Add a sense of urgency to your pages with the animated countdown timer and evergreen countdown timer. Hide content blocks until a certain amount of time has passed. This is perfect for sales videos, where you can reveal the purchase button only after enough time has passed to reach the "pitch" part of the video. Add fully customizable pricing tables with or without toggle anywhere inside your content, to increase sales. Insert a contact form on your page and customize every element of the form in true click and edit fashion. No need for an extra contact form plugin! 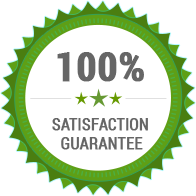 Use the pre-designed guarantee box element on sales pages to decrease buying resistance and increase your conversions. Adding a call-to-action box to your pages will grab your visitor's attention and guide it where you want it: on the call-to-action button. Apart from the conversion elements, Thrive Architect comes with many more building blocks you can use to create any page you can think of. Thrive Architect includes a lead generation element, which you can use to add fully customisable opt-in forms anywhere in your content. Note: our one-time price is truly a one time price. You will get unlimited updates to Thrive Architect and we don’t force you to pay again, just to get product updates or download the product you already paid for. Customer support is limited to 1 year and can be renewed for a small fee, but the plugin is yours, forever. We do have a subscription offer. If you want to get access to all of our products and unlimited support, you can become a Thrive Member. If, for any reason, you don't like this amazing plugin, you can get a full refund anytime within 30 days after your purchase. If you have any issues, just get in touch with our friendly support team and they'll either help you out until you get the results you need or give you a swift refund. Will this work with my WordPress theme? Thrive Architect works theme independently. All the landing page templates completely override your theme's page settings and you can use the editor to create and edit content in the content area of any WordPress theme. Can I use this on my wordpress.com blog? No. Thrive Architect only works for self hosted wordpress.org websites. Is this complicated and difficult to learn? At its most basic, Thrive Architect isn't more complicated to use than a word processor. But of course, you'll want to do much more with Thrive Architect than you could ever do with a word processor. So yes, it will take a bit of learning and getting used to. We have an extensive library of help articles and step-by-step tutorials that make this easy for you. What if I need support after more than 1 year? Free support is included with your purchase of the plugin, for 1 year. If you need support after that, you can renew support coverage for a small fee. Every WordPress expert says that we should keep our number of plugins to a minimum. It makes sense: the more plugins you have, the more stuff is loading in the background of your site and the slower your pages load. And even worse: more plugins by more different providers means more potential conflicts and plugins not “playing nice” with each other. Using a plugin that helps you create things like column layouts, content boxes and buttons? Thrive Architect makes all that much easier! 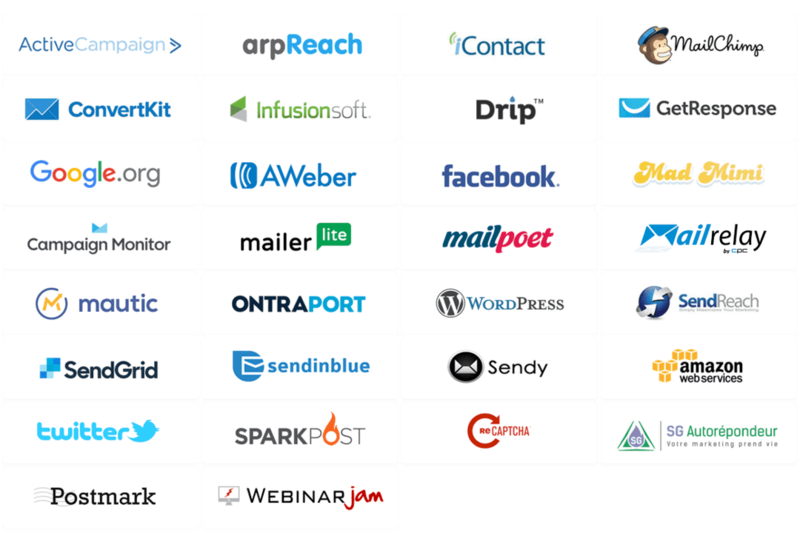 Tired of clunky contact form plugins that allow no easy customization? The contact form element is fully customizable and comes with pre-designed templates which will allow you to add a contact form in minutes! “Click to Tweet” quote boxes have proven a great way to get more sha-res and engage readers on Twitter.No more extra plugins needed, because Click to Tweet is one of the built-in elements in Thrive Architect! Font icons are a cumbersome and outdated way to add scalable icons to your site. Ditch your Font Icon plugin and use Thrive Architect’s built-in, modern SVG icon solution instead. WordPress doesn’t handle HTML tables well. And table building plugins are difficult to use. 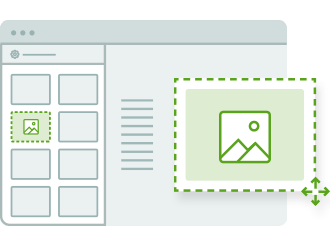 Thrive Architect makes it easier than ever to add customizable tables to your content and edit them on the front end! Animations add a dynamic twist to any website. With Thrive Architect, you no longer need a separate plugin to manage animations for any element on any page. There are probably many more plugins that we don't even know about, because we're so used to having everything we need in Thrive Architect. 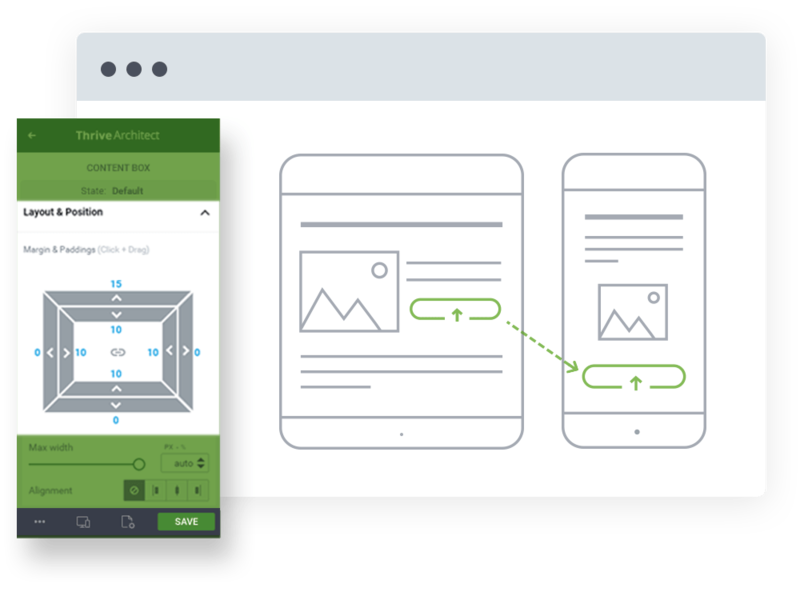 You’re able to run and manage A/B tests for your (landing) pages directly from your dashboard using the Thrive Optimize add-on. 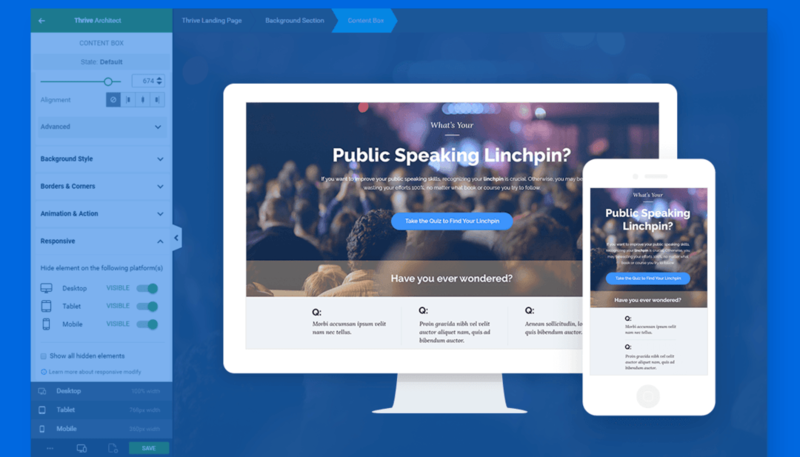 We are working on adding more landing page templates, as well as content templates you can add inside your pages and blog posts. This new element will make it easier than ever to build your “contact” pages (and will help you eliminate one more plugin from your site).